This program operates Monday through Friday. It allows the students to stay with us from 11:15am – 2:00pm daily. Parents are responsible for providing their child’s lunch. The cost of the program is $12.00 per day, per child. 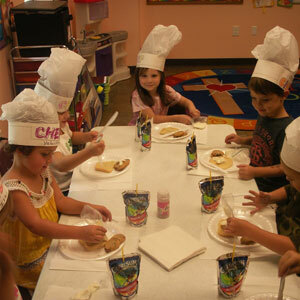 If your child is an afternoon preschooler and you would like to come an hour early, the fee is $7.00. You must sign up in advance for either service. All children MUST be potty trained to participate in this program. Please remember that we do NOT include a nap time during lunch bunch hours for any children.